Today’s generation would know X-Men from the superhero film series. For a 90s kid like me, though, I was introduced to these awesome superheroes through X-Men: The Animated Series. Once the theme song starts, you can’t help but be pumped up through its adrenaline-rising mix of dramatic music and explosion of action-packed graphics that make you imagine of being a superhero yourself – flying, fighting with the bad guys, and doing cool stuff with whatever superpower you may have. Originating from Stan Lee’s comics in the 1960s, X-Men is a showcase of well-written storylines expanding to alternate universes, the past, the future, and worlds beyond imagination. The characters, each with anything but simplistic backstory, have amazing God-like abilities of extraordinary strength, flying, teleportation, invisibility, shape-shifting, mental telepathy, telekinesis, energy-absorbing, energy-blasting, and an endless list of superpowers you can think of. Beyond the glitz and the glamour, however, is a clear message of acceptance and anti-bigotry. Comic Book Girl 19 and Tyson Wheeler in their documentary, “Epic History: X-Men Volume I: The 60s Era” explained how social and political movements in the 60s became the inspiration for the backdrop of X-Men stories. There’s the Civil Rights Movement, Second-wave Feminism, and Gay Liberation. X-Men’s “No more mutants!” and “Mutants are demons!” gave a glimpse of protests against what was deemed as unnatural or an abomination. Martin Luther King dreamed of racial equality as Professor X dreamed of equality between humans and mutants. Malcolm X didn’t believe in Martin Luther King’s advocacy as Magneto opposed Professor X’s idea. Mutants claim they are born this way as gay people are, with a lot of them going into hiding for the fear of persecution and stigma. These are but a few of the real-life transitions. 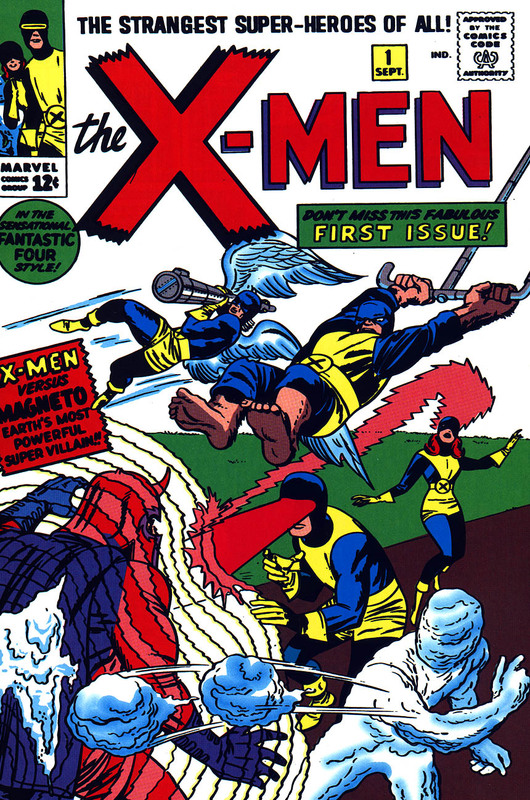 The X-Men #1 (Sept. 1963) is the debut of the X-Men, Professor X, and Magneto. Art by Jack Kirby. The success of X-Men or any superhero for that matter is the hope that they present. We have the tendency of seeing the world at the beginning of its tragic decent towards destruction despite the fact that it’s actually getting better. The superhero fantasy can be a sort of an escape or is a reflection of our desire to evolve from being a loser to a kickass hero with well-chiseled abs. Plus, you get to wear your underwear on the outside and wear a cape, too, if you’re lucky. Also, in a classic good vs evil conflict found in superhero storylines, we root for the good prevailing over evil. So we are not naturally evil after all. Above all, what draws us to superheroes, beyond the mask, the colorful, crazy costumes, the fantastic powers, is their humanity. Their struggles, vulnerability, and the ever-persistent dream of a better world. I watched “The Butler,” a 2013 American historical drama film based on Eugene Allen’s life as a White House butler. It gave a glimpse of the struggles African Americans had to go through in the US. It saddened me to be reminded of humanity’s tendency towards racism, discrimination, and hate. The Holocaust, Apartheid, Ku Klux Klan. Only but a few illustration of this madness. I know war and conflict are part of life but it baffles me how we resort to violence without any sense of regard to human life just because we feel that THEY are different from us. THEY are not our equal. THEY are inferior. I thought we have learned from the past. I thought that with technological advancement, we are no longer ignorant to cultural diversity. I thought we would be more accepting of our differences. That’s what I thought. Then Ferguson, Baltimore, and now Charleston happened. In the Philippines, we claim that we don’t have this so-called racism. But TV shows, ads, billboards, and subjects of ridicule say otherwise. Colonial influence still dictate that having fair skin is the standard of beauty. Skin whitening products abound. And being dark is still considered inferior. How stupid and shallow to pass judgement on people based on skin color. What’s wrong with the world?